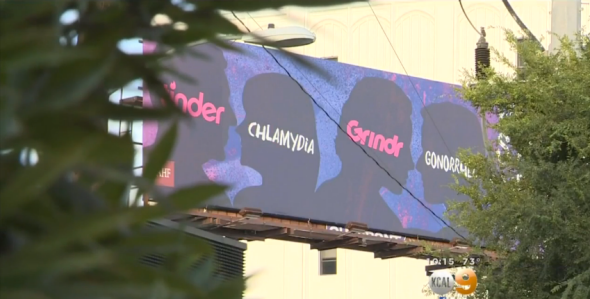 Tinder, chlamydia billboard: Company not enjoying the connection. The AIDS Healthcare Foundation’s billboard in the West Hollywood neighborhood of Los Angeles. The foundation responded that it would not remove the billboard. Is using Tinder to arrange casual sexual encounters basically like jumping naked into a giant vat of chlamydia? There’s only one way to find out!